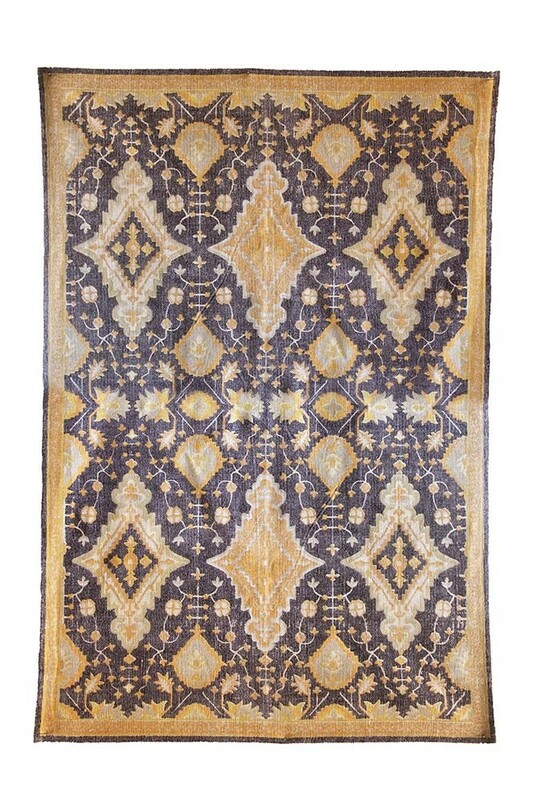 Make your floors pop with the Pune Mustard & Gold Dhurrie Rug! A vibrant, colourful and patterned Dhurrie Rug, the Pune Mustard & Gold rug is part of the RSG collection from India – a country known for its evocative colours and senses! 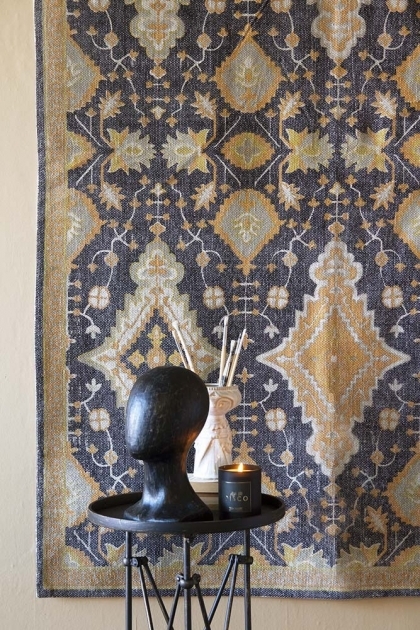 The perfect floor rug to add cheerful warmth and textures to the home, we think that the Pune Mustard & Gold Cotton Dhurrie Rug is an easy and simple way to jazz up and add a pop of colour to your hallway, living room, kitchen, bedroom and home office. 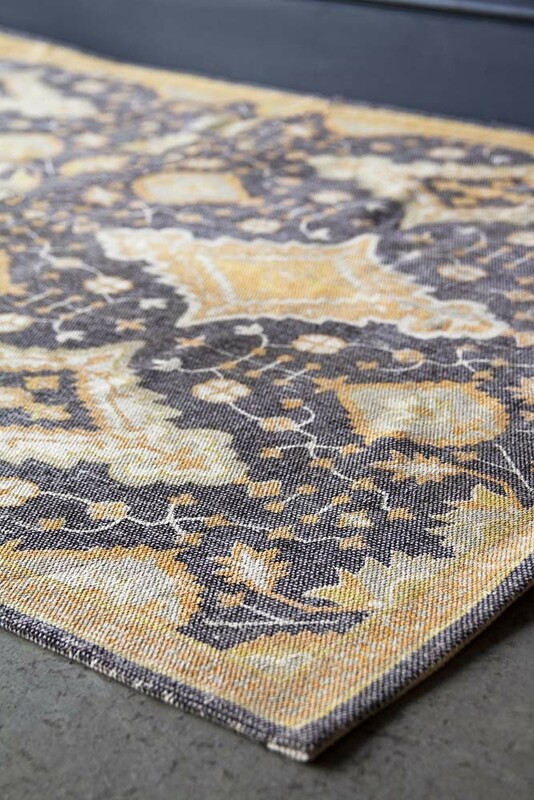 Ideal for renters who are restricted to one floor or carpet choice, the tones of gold and mustard in the rug would look beautiful just about anywhere in the home! Hang this beautiful yellow patterned rug on your walls or dress up your floors in your living room, bedrooms, hallways and home offices… either way the Pune Mustard & Gold Cotton Dhurrie Rug will update and textural interest to your interiors effortlessly! 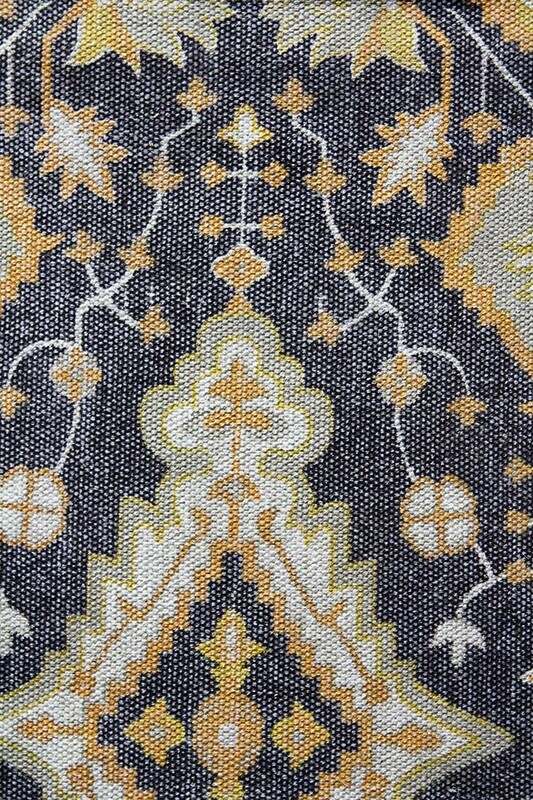 A truly beautiful flooring choice for your home, the Pune Rug is part of our affordable rug range and is anti-allergy and ethically sourced. If you choose to style the Pune Rug on shiny surfaces we highly recommend purchasing a non-slip mat to keep the Rug in position and to prevent slipping.